An awesome way to welcome 2019! Looking for a countdown party this December 31? 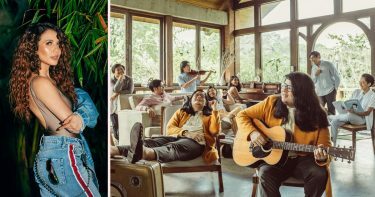 Headlining the countdown are some of the biggest and brightest names in the local music scene such as Bamboo, female artists Moira, Karylle, and different bands namely December Avenue, Ben & Ben, and IV of Spades. “It has been our tradition in Eastwood City to welcome each year in the grandest way possible. This year will be no different as we have put our most star-studded lineup of performers. 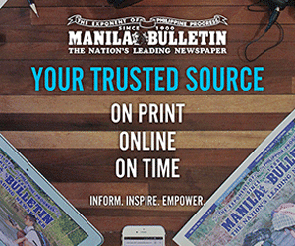 Our goal is to really spread happiness and encourage everyone to welcome 2019 with renewed hope and reinvigorated spirit,” says Kevin L. Tan, Megaworld executive vice president and chief strategy officer. The party will start at 6pm at the Eastwood Mall Open Park and will end with a bang with the Dazzling Star Drop and Fireworks Display at exactly 12 midnight. Eastwood City will also introduce the country’s first ‘Emoji Balloon Drop.’ At 12 midnight, thousands of ‘happy emoji’ balloons will descend upon the crowd to spread happiness and positivity for the coming year. The Emoji Balloon Drop will be set off by the Dazzling Star Drop and will kick off the grand fireworks display. Dazzling Star Drop is Eastwood City’s version of the world-famous Ball Drop in New York City’s Time Square and one of the most-awaited parts of its annual New Year countdown. The celebration will continue until the early hours of 2019 where visitors can head over to Fuente Circle and party the night away with some of today’s hottest DJs including X-Factor Marc Marasigan, David Ardiente, Khai Lim, and MC Victor Pring. 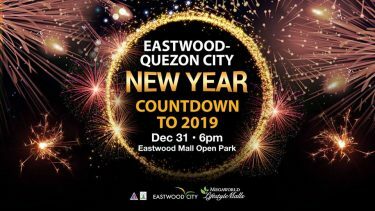 For more information, visit www.EastwoodNYE2019.com. WATCH: ‘Black Mirror: Bandersnatch’ official trailer is here!